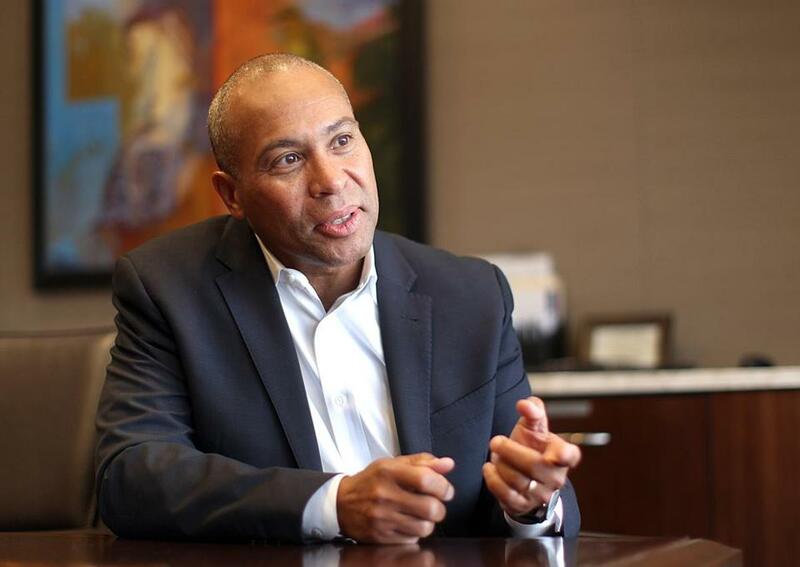 Former governor Deval Patrick will appear at a sold-out event in Philadelphia next week, marking the latest opportunity for him to raise his national profile amid speculation about his White House interest. Largely out of the political spotlight since leaving the State House in 2015, Patrick has built an increasingly busy schedule that’s included a trip to Kansas City, where he also sat down with the Kansas City Star’s editorial board; a podcast appearance he promoted with his first tweet in nearly three years; and last December, a visit to Alabama, where he stumped for Democratic Senate candidate Doug Jones ahead of his victory over Roy Moore. Now, he’s landing in Philadelphia, where he’ll sit on a panel that also includes former Republican congresswoman Sue Myrick of North Carolina to discuss how to “restore the Founders’ vision” of the United States. Former Democratic congresswoman Marjorie Margolies will moderate the event, which is also being run by the nonpartisan group Issue One, which advocates for government ethics reform and accountability. Patrick is a member of the group’s so-called ReFormers Caucus, which includes nearly 200 former elected officials — Republicans and Democrats among them, though the Massachusetts contingent is wholly blue. Former governor Michael Dukakis and former members of Congress Chet Atkins, Michael Harrington, and John Tierney are also members. But Patrick’s growing number of public appearances will surely add to the attention surrounding the former governor, as Democrats scan the political landscape for candidates who could challenge President Trump. Patrick, who’s been working for Bain Capital since leaving office, told Kansas City’s KCUR it’s been his intention to dive back into politics, saying he wanted to campaign for Democrats during the midterm elections.